At SogoTrade, we have some of the lowest stock trading fees in the Industry. Not only stock trading fees, but we have some of the lowest options trading fees and margin interest rates, as well. One of our goals is to help remove obstacles that can stand in the way of your investment success. Our low fees are just one of the reasons you will see how much we value your business. 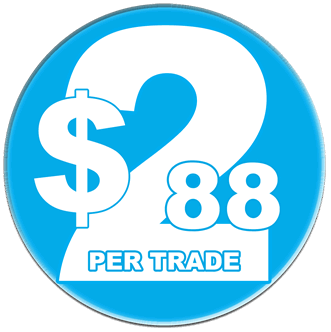 With SogoTrade's Prepaid Packages, you can lower your stock commission rate and options base rate to just $3.88 or $2.88 per trade! SogoTrade offers prepaid commission packages you can purchase in advance of placing your order so that you can enjoy an even lower stock and option commission rate. The packages are available in quantities of 20 or 50 prepaid trades and are good for one year. You can purchase as many packages as you wish! 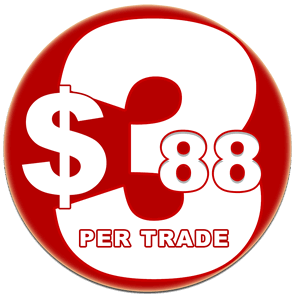 Prepaid $2.88 & $3.88 Trades Available! This service is only available for regular market hour orders placed by 4:00 pm ET. * For stocks priced under $1, add the greater of $0.0003 / share (10% of principal max) OR 1/4% principal. * Good Until Cancelled (GTC) orders partially executed over multiple trading days are subject to commission charges for each trading day. ** For Stocks priced under $1, $100 minimum investment (principal) required per opening transaction. **Online trades are limited to 100,000 shares. Please call our Trade Desk to place orders over 100,000 shares. Orders phoned in for stock priced below $1 will be subject to a $25 base rate + the surcharge. Note: Free reward trades do not apply to stock priced under $1 nor to any phoned in (broker-assisted) orders. Penny Stocks: OTCBB and Pink Sheets may incur additional transaction fees based on DTC charges. These charges can be substantial, so they may be blocked from online trading. In this case, please contact the Trade Desk for more information. SogoTrade offers many convenient funding options including one-time and recurring ACH electronic transfers, check deposits, and wire transfers. 1. ADR agents that sponsor American Depositary Receipts (ADRs) are permitted to charge the ADR holder an annual custody fee. The fee is administered through the Depository Trust Company (DTC). If the ADR pays a dividend, the annual custody fee can be deducted from that or DTC will pass through a separate annual custody fee, the same way it does when the ADR does not pay a dividend. In that case, the annual fee will be posted to your account by our clearing firm. The per share fee and the date the fee posts annually will differ by ADR and is determined by the ADR agent. 2. Financial Industry Regulatory Authority (FINRA) transaction fee (TAF) This fee is charged on all stock, ETF option and bond sales. 3. Foreign Ordinary Security Fee - SogoTrade charges an additional $50 fee per transaction for foreign ordinary securities that trade on the U.S. OTC Pink Sheet markets. Typically, these securities trade under 5 letter stock symbols ending in the letter ‘F’. These are also commonly referred to as ‘F’ shares and the fee as an ‘F share fee’. Although these stocks trade on the U.S. markets and are quoted in U.S. dollars, the actual settlement of a foreign ordinary security trade occurs in the local market in which the company is registered and in that country’s currency. 4. The following options exchanges assess an Options Regulatory Fee (referred to as the “ORF fee”) on options transactions executed by its members that clear in the customer range at Options Clearing Corporation (“OCC”) regardless of the marketplace of execution. 5. Proprietary Index Option Fees -There are some index option products which are proprietary and listed on a single exchange. Exchanges charge extra fees to trade these products. To offset the exchange fees incurred for trading these products, SogoTrade also charges a per contract fee on these products. This charge will appear in your SogoTrade trade ticket at the time of trade. Active traders can trade for less at Sogotrade. Our $2.88 online commission is for the active trader who executes 150+ trades per quarter. SogoTrade offers prepaid commission packages you can purchase in advance of placing your order so that you can enjoy an even lower commission rate of $3.88 per trade. See prepaid packages. If you do not place over 150 trades per quarter, you can trade stocks online for just $4.88 regardless of order type. 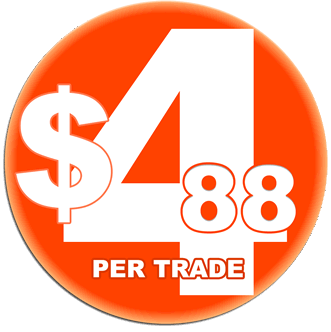 Option trades online are just $4.88 (base rate) plus $0.50 per contract. Required Maintenance(RM) T+2* Total equity becomes insufficient to cover the equity maintenance requirements of the positions in the account. RM call can be met by closing positions and / or making a deposit. T+2*(options) Exceed overnight buying power (ONBP) in a MARGIN account. Preferably met by a new deposit, but ultimately can be met by closing positions. Day Trade (DT) T+4* Open a new position in excess of the day trade buying power (DTBP) and close the position on the same day. DT call can only be met by new deposit. Equity Maintenance (EM) T+4* Total equity in a Pattern Day Trader (PDT) account falls below $25,000. A PDT account cannot day trade while in an EM call. Money Due (MD) T+4* Exceed overnight buying power (ONBP) in a CASH account. Also known as a Cash Call. *Note: Any subsequent calls may be due T=1. All commissions, fees and rates are subject to change.